This year is an anniversary year. Ten years ago in January 2000, I went to a trip around SE Asia (Thailand, Cambodia, Vietnam, Laos, Thailand), where I discovered and fell in love with the backpacker's way of travel. Five person with whom I traveled there, are still on my Facebook list of friends. 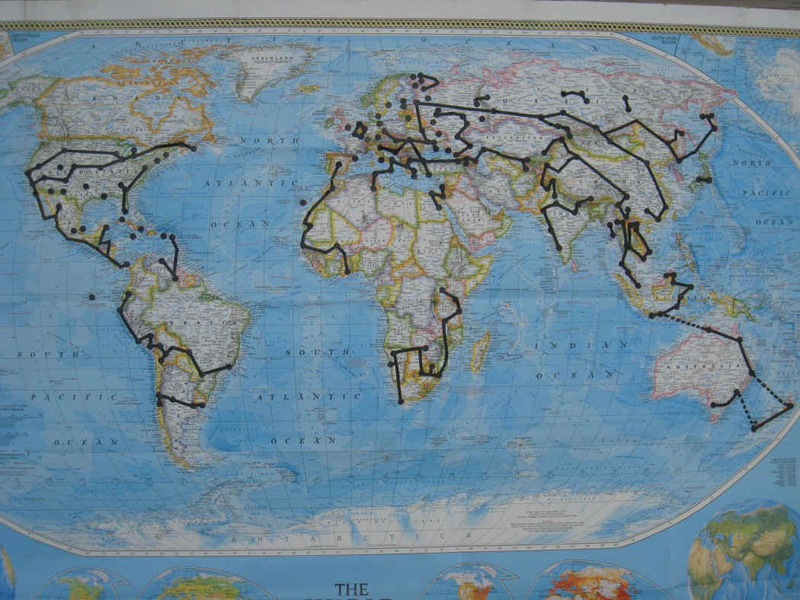 In following ten years I traveled in average for seven months per year. 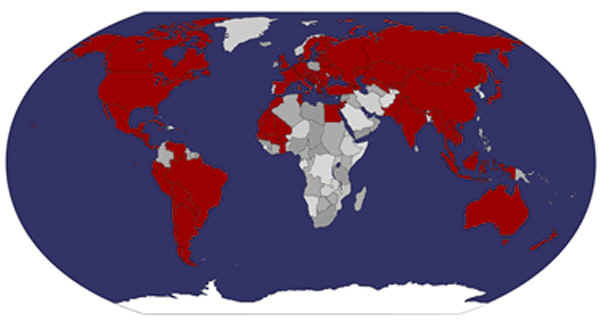 I visited 114 countries out of 192, see list of visited counties and map of visited countries in attachment. I traveled 97,000 kilometers which is more then two Earth circumference at Equator. I visited most of places ”You have to see before you die". I developed safe, inexpensive and enjoyable way of travel. I never was robbed, mugged or harassed. In last four years I never was sick or poisoned. I wrote about my way of travel many times and even was blamed for the repetition. But, I would like to repeat just the summary: The major contributor to physical safety is folding bicycle. The major contributor to health safety is electrical spiral for boiling water and food preparation. I hope my experience inspired some people on travel this way. I am in Saint Petersburg, Russia, celebrating 50-tieth anniversary of graduation from college. 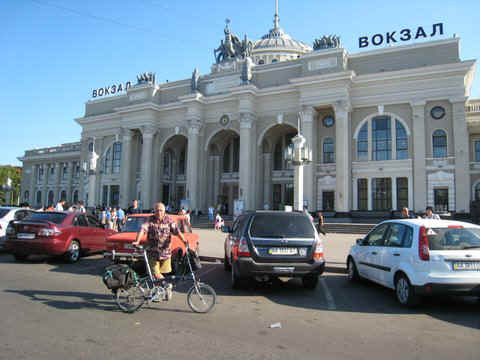 In a few days I will take a train to Transcarpathia, Western Ukraine. After graduation from college and before staring my first work, I went to a trip to TransCarpathia on motorized bicycle. Why did I go to Transcarpathia 50 years ago? I did not have any special interest in Transcarpathia, but it was so close to the border of USSR. The only river Uzh separated the country of "Successful Socialism" from the rest of the world. I did not plan to escape. But I wanted to see these intriguing foreign countries at least across the river. I was unable to see these counties because a tall wooden fence was erected on the shore of Uzh river. Now I've seen them, 58% to be exact. PS: Thank you letter 46 years later. New Internet site on history of tourism and mountaineering on Altay was opened recently. My name is mentioned there by guy whose life I saved (along with my own). He fell in deep crack on glacier and I stopped his fall. We were tied with rope. 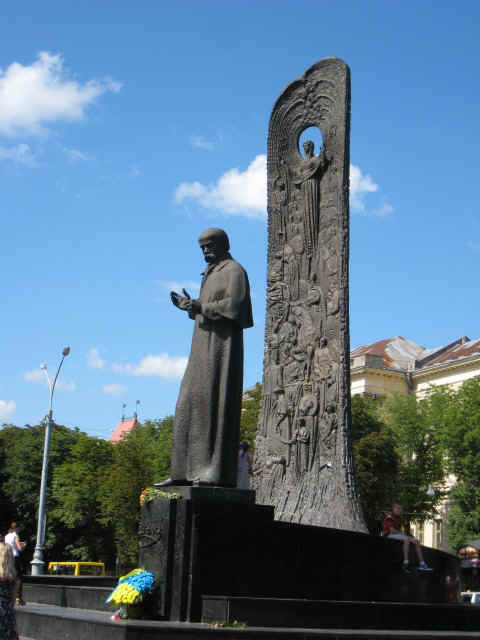 Lvov is amazing! City is full of pompous sculptures and gorges baroque, rococo style buildings and architectural assemblies. If you imagine Vienna with half of buildings in serious need for repair, potholes in the middle of streets and babushkas selling krinichenka at the side walk... it will be Lvov. In it's golden years it was ruled by Hapsburgs and was part of Austro-Hungarian empire. 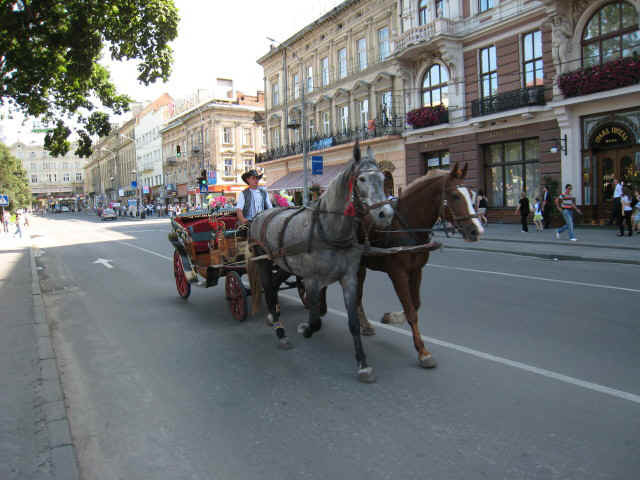 It makes Lvov the most Eastern piece of Western Europe. 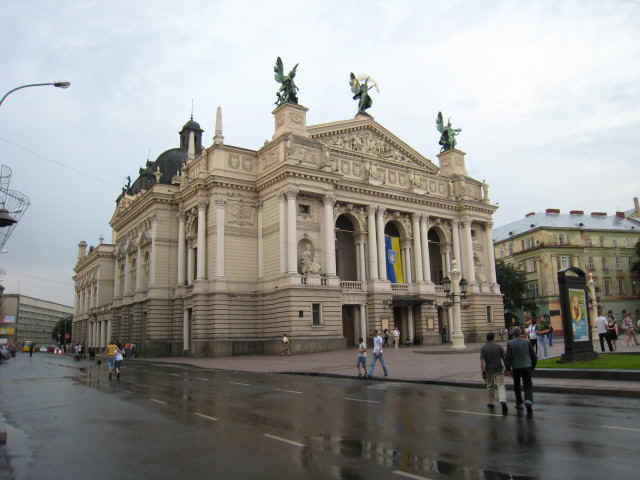 In my opinion Lvov has nothing to do with Russia and even with the rest of Ukraine too. Tourists service is awful here. There are no signs in English or Russian in most tourist places like hotels or museums, only in Ukrainian. Many details of service are plain stupid. For example they sell only entire pizzas in buffets, not by pieces. Light switch for public toilets are outside, so if somebody accidentally switched light off, you have to maneuver to exit in complete darkness. This and many other very stupid details resulted in small numbers of tourists in this first class tourist destination. After recent devaluation of Ukrainian Hryvna, everything is very cheap in dollar equivalent. My room in hotel Lvov costs $12. Dinner in good restaurant about the same price. Coffee, beer, drinks, cigarettes, tickets to museums, trains, long distance buses are almost free. It was an interesting experience to be in such "utopia communism" environment. But I cannot take advantage of it because I do not need anything. All I need I already have inside my small backpack. After Lvov I went to Uzhgorod. Fifty years ago, when I came to Uzhgorod I even did not look for hotel. Hotels were only for people traveling on business. I went to turbaza (campground) and after an evening dance was invited to spend the night in the girl's dorm. Now Uzhgorod has many hotels built in Soviet times, when it was quite an attractive tourist destination. Now, when people can travel abroad, hotels are mostly empty. 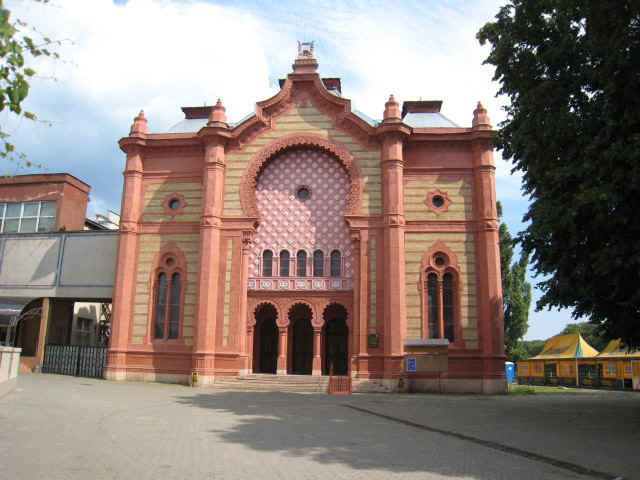 Uzhgorod is nice provincial town with unusual phylarmony house built in Moorish style. Nearby Mukachevo's main attraction is the 1000 years old Palanok fortress, which looks impossible to storm. In fact it was never taken by enemies. It also has 86 meter deep working well. It is quite interesting for me because I used to dig wells. Palanok well is about the same depth as the well in Megiddo, Israel. Last one is known as an oldest working piece of machinery on Earth. People often ask me the question; “From places you visited, what was the most dangerous place to ride bicycle?” Now I have the answer, supported by seven fresh stitches on my right brow. It is not Caracas, not Rio de Janeiro, or Guatemala city. It is old good Vienna, Austria. My Russian readers may remember long quotation from the book “12 chairs”, starting with sentence: “Pedestrians have to be loved.” The authors wrote with humor about poor pedestrians who were squeezed from the wide roads to narrow sidewalks by aggressive motorists, and only there, on sidewalks, they feel relatively safe. Not in Vienna! Part of sidewalks are given to bicyclists. These bicyclists with whom I do not want to have anything in common except for the name, are very territorial. And as any territorial animals they are ready to kill anybody who attempt to use their territory. In the middle of sidewalks full of pedestrians, they ride on their bike-paths with incredible speed and shout to pedestrians who happened to be in their way. These who are not fast enough to jump out, they hit. This is what happened with me. I rushed to West Bahnhoff train station to take train to Frankfurt, where I was supposed to meet my son Daniel. The bike path was laid right across the entrance to the train station, so everybody entering or exiting the station has to cross it, me too. I did not expect that in such busy place that damn bike-path can be and I did not noticed it. 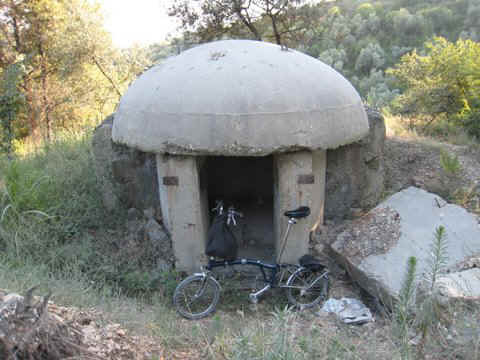 But it was there, and one of these crazy bicyclist rode it, like if he was on a track. I did not remember moment of strike. I probably lost consciousness for a second. Next, I remember a guy shouting to me that it was his right of way. What can be worse then having no rights? Only having too much! I was heavily bleeding from my head so that bicyclist’s rights advocate preferred to run away (ride away). People standing around, offered me handkerchiefs and napkins to stop my bleeding. But blood was not pulsating. So it was not arterial bleeding, and therefore it was not deadly dangerous, I concluded. Still covering everything around me with pouring blood, I untied my backpack from rear rack of my bicycle, opened it, took towel, tied it around my head and rushed to my train. Covered with blood, with blood running down my face, I took my seat in train. People around me were amazingly delicate. Nobody shows that they notice something unusual. Only hours later after doctor’s visit, and after I became so to say “officially” recognized injured person, people around me start to show sympathy. Oh that Western cult of privacy! For a while I tried to stop bleeding by covering my wound with band-aids. Conductor offered help several times, but I asked her not to do anything. 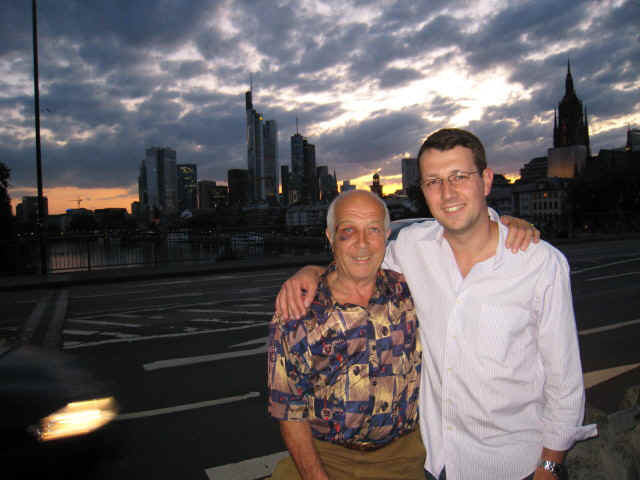 I hoped to reach Frankfurt and with help of my son get to the hospital. However bleeding did not stop and towel become completely soaked. Eventually I had given up and asked conductor for help. She advertised on train radio and two doctors came. On next station Passau, an ambulance took me to the hospital, doctor put in seven stitches and I even was able to get back to the train station and to next train two hours later. The doctor charged me only 37 euros. In America it will cost 20-30 times more. 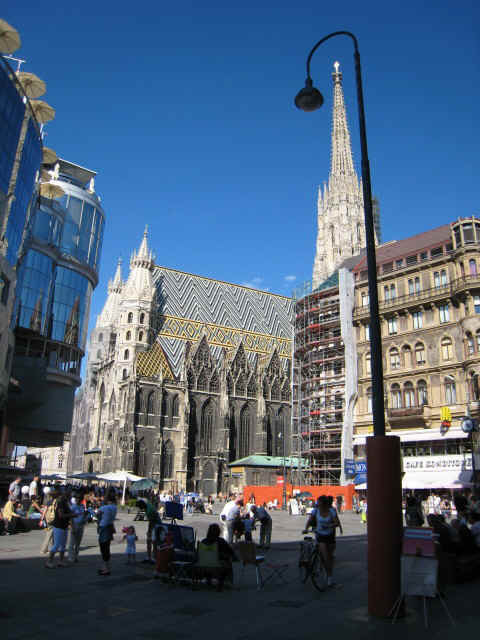 Other then that, Vienna is very nice town. I like it very much. 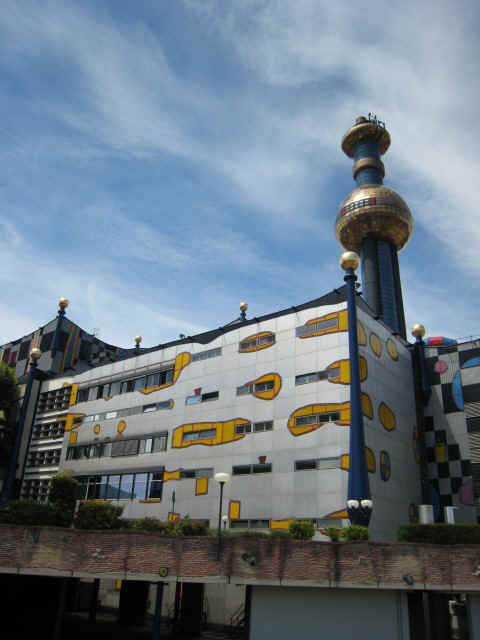 I made tons of pictures, but now with Google, with one click of mouse, anyone can find best professional pictures of anything, including Vienna. 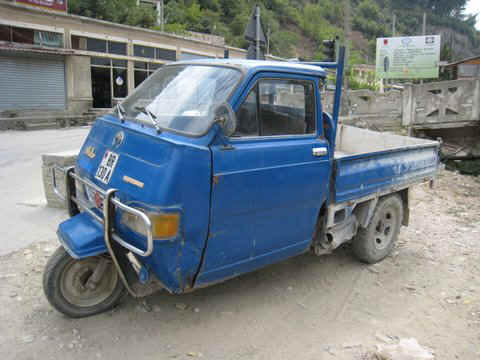 So I attached coupe more funny pictures. I would like to thank everybody who sent me condolence letters. 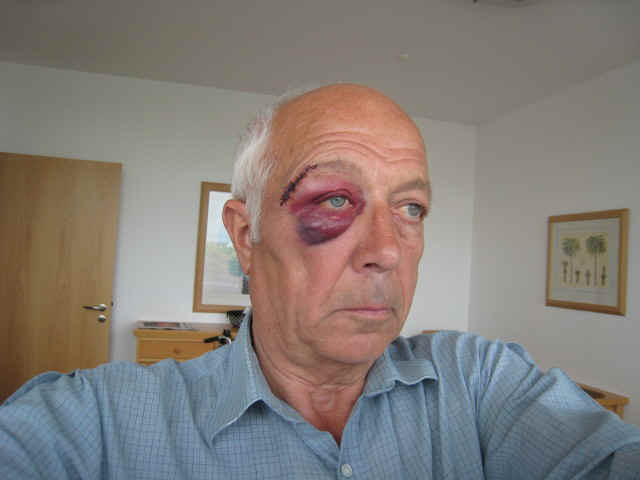 As you may see in attachments, the German doctor did his job very accurately-- almost nothing noticeable is left. So from Frankfurt I took a train to Beograd, which did not impress me in any way. Then I took another train to Montenegro. Using public transportation and bicycle I visited practically all towns on Montenegro's Adriatic coast. I will give you short summary, because some people expressed interest. 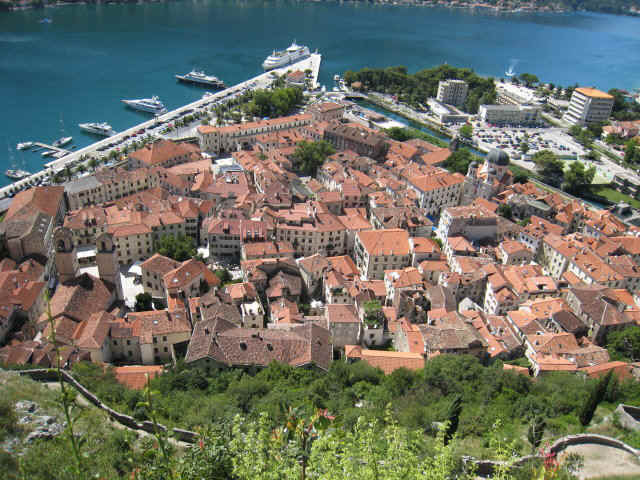 Kotor is beautifully situated in the end of longest fjord in Europe except for Norway. For the same reason water in bay is not so good quality, some garbage is floating there. 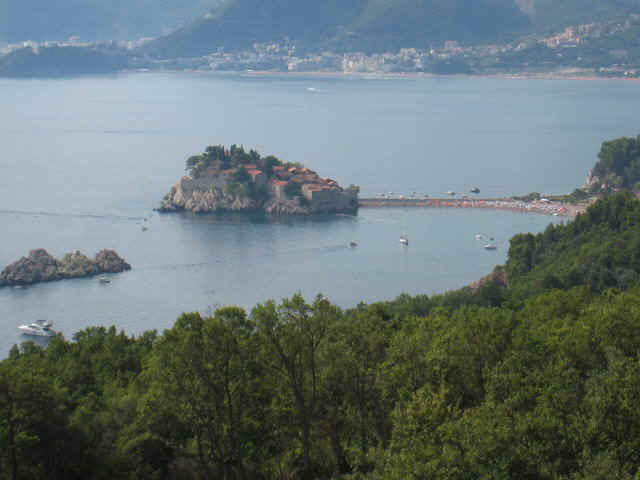 Budva is most popular spot and is a tourist trap. Sumbava near Bar is the most appropriate place for somebody who wants just to spent some time on the sea. 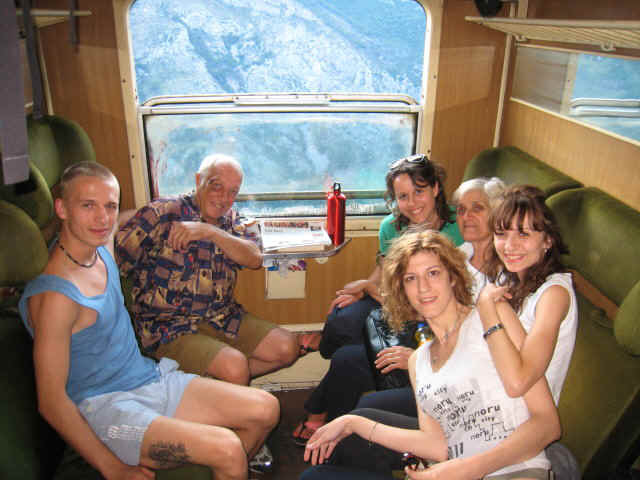 I came there with a few Serbian young people with whom I shared a train compartment from Beograd, see picture. I spent there 4 night and pay 7 euros per night. Bar is too industrialized, but Old Bar (old town) is a quite interesting not restored ancient town. Ulcinj is quite interesting with an impressive fortress towering right above the beach. 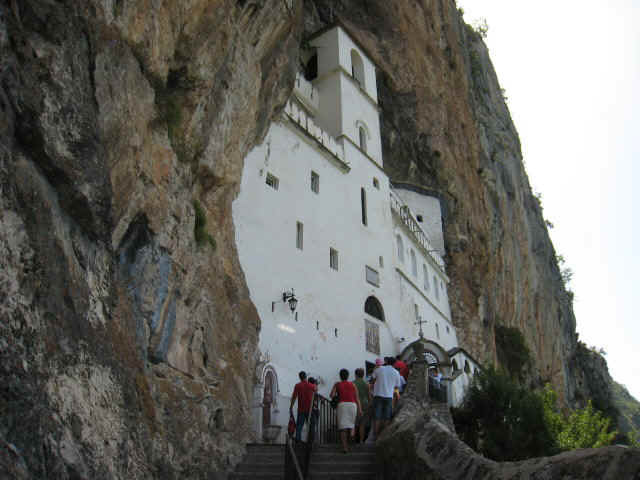 Ulcinj was and is a border town between predominantly Muslim to South and Christian population to the North.I visited Monastery Ostrog built in a high mountain grotto. 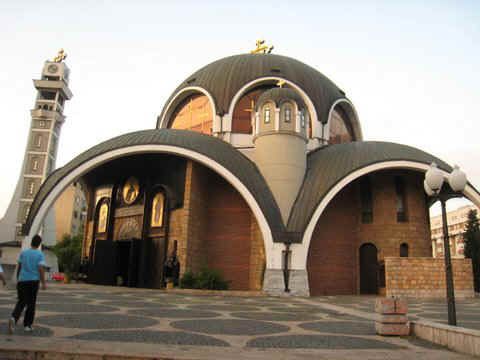 It contains bones (moshi) of Archbishop Vasilije Jovanovic. Those who will pray over them will be cured from most serious diseases. But to reach them you have to ascend very steep 3 km slope. You have to be in pretty good shape to do it, by the way. Italy was 65 euros and a night away by ferry. So I cannot resist temptation and took the Bar-Bari ferry. 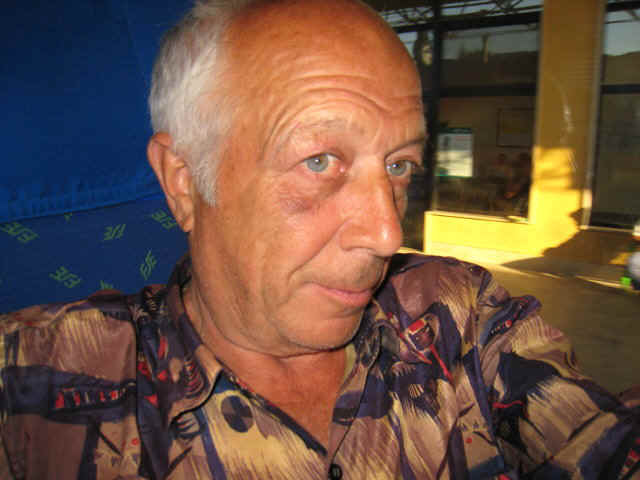 I was in Bari during my Tunis - Russia trip 7 years ago. I went to Bari at that time right after Sicily, Palermo, Catania, Messina and I was not impressed by Bari at that time. It is like with wine testing, your taste buds should be fresh. This time I came after Montenegro. Montenegro is nice, but it is no match for Italy. All the time I spent in Bari, especially first day, I was in condition of almost hysterical excitement (teliachii vostorg). Everything is so beautiful. Just walking or riding bike in narrow streets of old town and be submerged in movie-like Italian life is such a pleasure. 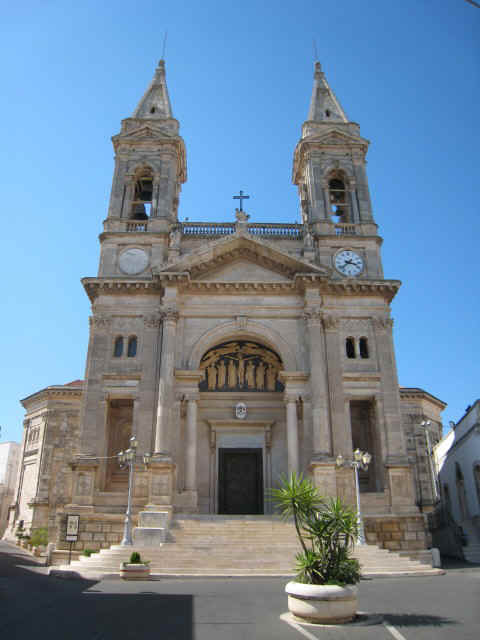 Bari is also known as Santa Claus town. 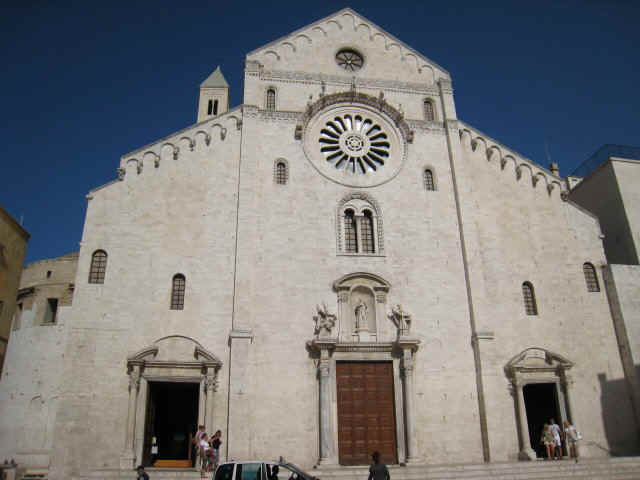 Because the relics of St. Nicholas who is also known as Father Christmas are located here in Basilica di San Nicola. Putin even presented statue of St Nicholas, which is very popular in Russia to the town of Bari. 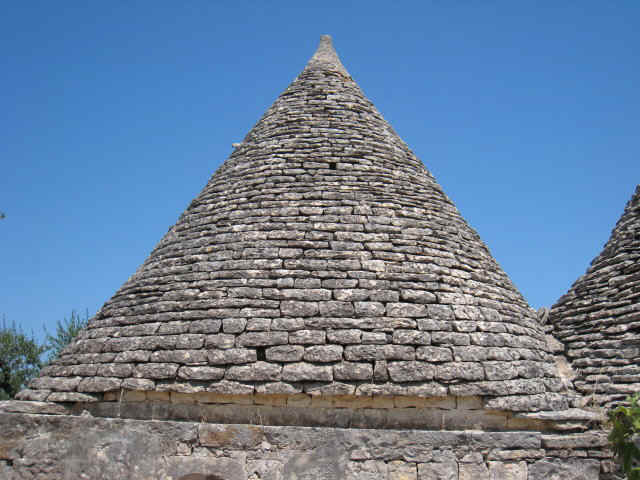 I visited again Alberobello in Trulli country and again want to build such funny looking house in my backyard. It was quite difficult to pull myself away from Belle Italy. But I did, and arrived yesterday morning in Durres, Albania. Durres (Dyrrachium) has very deep history. It was sacred town of Aphrodite, by the way. But it is such a contrast to Italy, dirty, dusty, polluted, lots of potholes on roads. On the sea shore I had breakfast of airan, which everybody drinks here and tasty local pie, birek. And I should tell you that I still enjoy Durres. Some of my readers get surprised why I am willing to visit such awkward places, and advise me to go to nice places, which they recommend. But travelers and hedonists are not the same animal species. Travelers get fun not from visiting only nice places, but rather from seeing NEW places. Tirana is even more polluted then Durres and very hot. 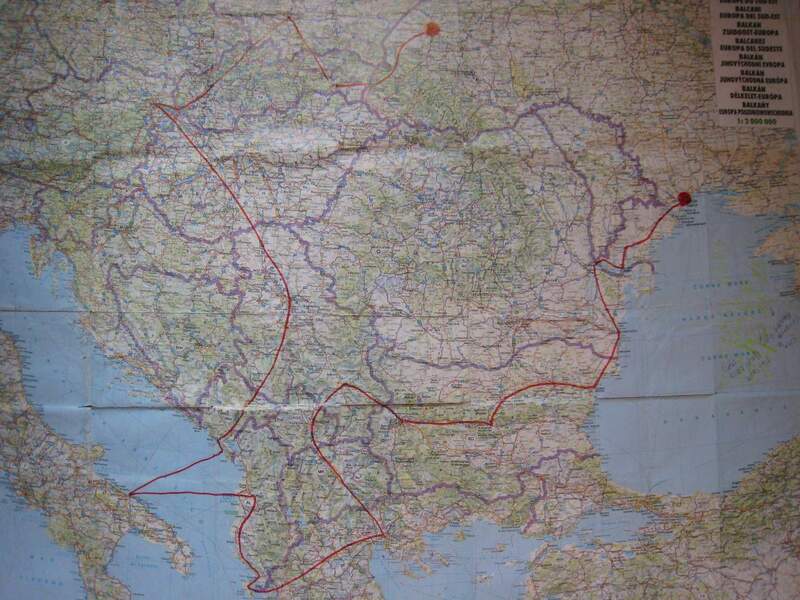 Tomorrow I will continue my travel to South Albania and then probably to Greece. My face with no visible stiches. What is this Bari commercial sell? But only 5 of them I visited for first time. So, by now I visited 118 countries. I planned this trip as a repetition of my 1959 trip. 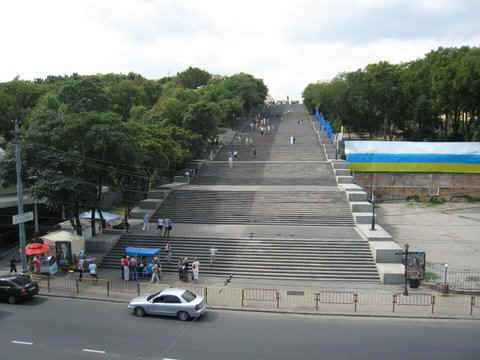 However only the beginning of trip, the city of Lvov, and the end of trip, Odessa, were the same as 50 years ago. 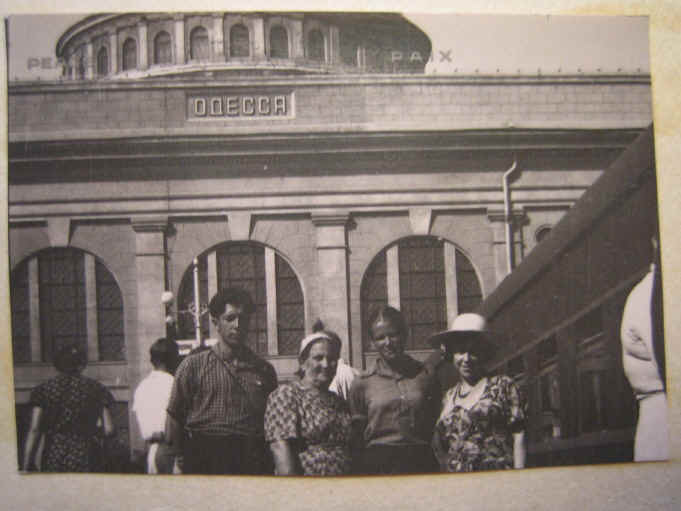 See in attachment my picture at Odessa train station now and 50 years ago with my mother, grandmother and friend Olga D.
Back to my trip. From Tirane, Albania I went down Adriatic coast to Saranda on the border with Greece. Albania is beautiful country with very friendly people, but it is all covered with garbage. They never had a concept of garbage removal. It was OK in the past when everything was biodegradable. But after plastic was invented things changed for worse. From Saranda I took ferry to Corfu, Greece. Corfu Town is full of tourists. I stayed at opposite side of island at hostel Pink Palace, the only reasonable accommodation around Corfu. Hostel is advertised as home of young adventurers. 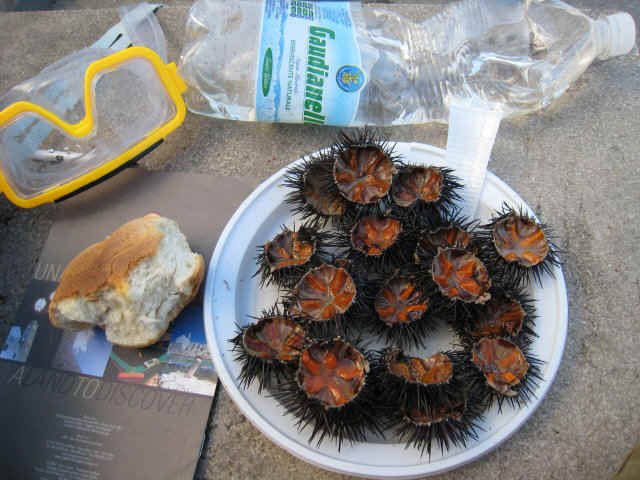 I rented canoe and snorkeling equipment and went canyoning along the coast. Surprisingly there were no other canoeists. Young adventurers prefer more familiar adventures - beer and pizza. Ionian Sea and shore are beautiful, but there was no sea life there, no fish, no crabs, no seashells. I think it was because the material of shore and sea bottom was sandstone. When it is eroded it do not form narrow cracks and small caves in which sea critter can hide. From Corfu I took ferry to Igoumenitsa and then bus to Thessaloniki. Probably 5-10% of Thessaloniki downtown is covered with ancient ruins. They stand surrounded by contemporary houses. Fifth century ruins stands right next to contemporary homes, quite strange. From Thessaloniki I went to Skopje, Macedonia. Folding bike was quite handy there because considerable part of roads before and after border are not serviced by any public transportation. Macedonia is a very pro-Russian country. This feeling is even more enhanced by street signs which are written in contemporary Russian (Cyrillic) letters. 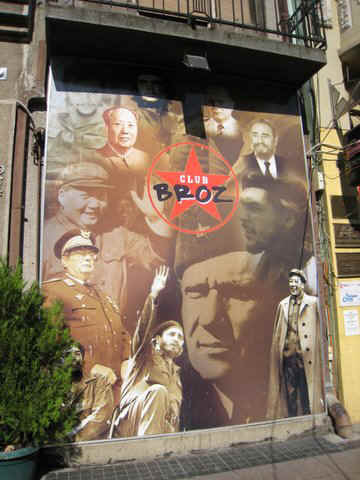 From Skopje I went to Pristina, Kosovo, poor NATO creation. On bus station hordes of begging children attack passengers. Town Pristina is quite unattractive busy, dusty, faceless town. What would be if Constantine had not made Christianity the State religion of Great Roman Empire? Will Christianity survive and became major world religion? Will Soviet Union survive if Gorbachev did not dissasemble it? From Varna I went to Constanta, Romania. Constanta impressed me. It has 5 harbors. It has many historical monuments. 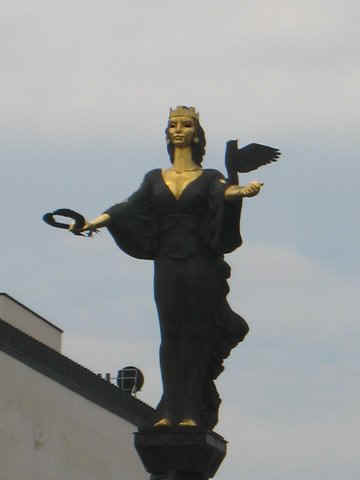 And the main attraction- unlike Varna it is not touristy. From Constanta I took bus to Galati, Romania. From Galati I went on bicycle across Moldavia to Reni, Ukraina. I have to cross two border Romania to Moldavia and Moldovia to Ukraina. Without bike it will be quite difficult due to luck of public transportation. 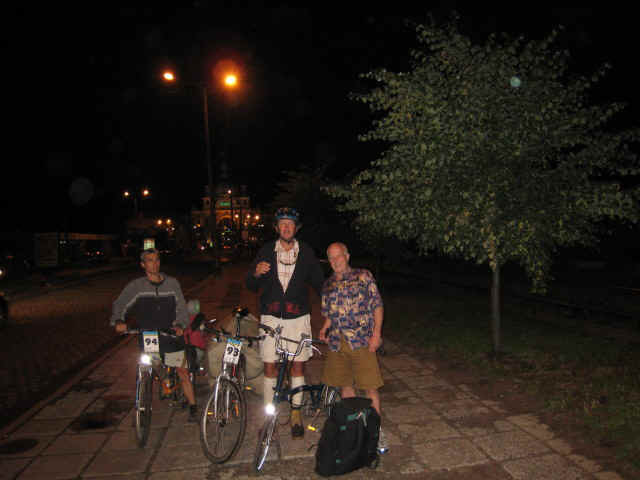 At Reni I met 4 traveling on bicycle musicians. They were very colorful and remind me "Bremenskie musicians", cartoon which is very popular in Russia. From Reni I went to Bolgrad. In local museum I found tons of documents on people with last mane Mumzhiev, which probably derivates from the same Turkish root, Mumju. And I found one document related to my grandfather Mumzhiu M C: Dated by year 1915, invitation to PTA meeting (roditelskoe sobranie) to his daughter girl’s school.